It's a watch, it's a photo holder! 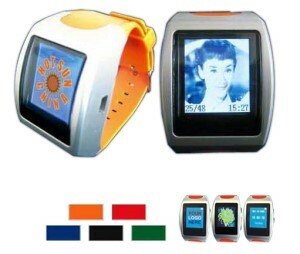 Holds over 60 of your favorite photos.It has 16M bits memory with timing and date. CD driver and USB cable are included. Uses 1 rechargable lithium battery. Minimum imprintable quantity is 500.